Dato’ Shahriman was a Non-Independent Non-Executive Director of SapuraCrest Petroleum prior to the merger of businesses between SapuraCrest Petroleum Group and Kencana Petroleum Group. 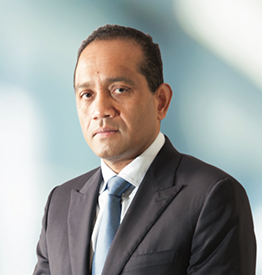 He began his career with Sapura Group in 1991 and has held a number of key senior positions within the Group. He manages a diversified portfolio which includes aviation and property investment. Dato’ Shahriman also currently sits on the Boards of Sapura Technology Sdn Bhd and Sapura Holdings Sdn Bhd.